We sold our Colorado house, paid off our debts, and hit the open road. We converted our car to E85, and are pulling a 14' T@B trailer. Join us for our odyssey. FINALLY I have picked up the quill, returned to the keyboard, committed pen to paper... but not here. Please continue to follow Stewart's and my adventures at PEREGRINE ODYSSEY. I will updating at this URL from now on. This post has been brewing in my mind since early March. Had I written it then it would read very differently than it will today, or even yesterday or tomorrow. You see, my Twitterverse is fluid, ever changing. At times fun is abundant, with cleverness the most valued attribute. Other days are about sharing ways to make the world a better place. Days when I open link after link learning things I didn't even know I didn't know. And of course, there are those days when I can rant to the world at large, free to express my ire 140 spaces at a time. For those of you who are not familiar with Twitter, let me take a a few lines here to try and explain. If you ever entered a chat room the concept will be fairly simple to grasp. If not, let's give it a try, and if it still makes no sense, post a comment and I'll address your specific questions the best I am able. Frankly, trying to explain it here is forcing me to articulate what has been an abstract up until now. OK, I have tried writing this section five different ways, and have decided to seek out the best explanation already written by someone else. Why reinvent the wheel, right? Here are what a couple of 'authorities' write about Twitter:According to Wikipedia, Twitter is a "free social networking and micro-blogging service that allows its users to send updates (otherwise known as "tweets") which are text-based posts of up to 140 characters in length." Right off the bat I must correct this definition. Many complain about the 140 characters allowed in each tweet, when in reality it is 140 SPACES that are allowed. So if you tend towards the verbose (like me), you're going to learn an entirely new form of abbreviation. Thus the proliferation of sentences that read like this: "it wld be SO GR8 2 have mark/color on @replies 2show U have replied back(like email) dont always rembr!" (source Sharon L Corsaro, aka @growinggold). I cannot tell you how many times since becoming a Twitter participant I have found myself writing just that sort of sentence IRL (in real life). Here is a short YouTube video that demonstrates even more clearly. Now that I have done my best to explain Twitter, I will get back to what it has meant to me since joining 6 March. It is hard to believe it has been such a short time. My life is forever different because of this – no exaggeration! When I was flat on my back in the Florida Keys, I joined Twitter so I had something to do on my iPhone other than play solitaire. Little did I know that I was opening myself up to an entirely new world. It shouldn't have surprised me, really. Stewart and I met on Match.com over seven years ago. I met one of my dearest friends back in 1995 while doing research for an article in an AOL chat room. My cousin, Alyson met her husband, Vopni in a chat room. It's all around us. The primary difference with Twitter for me is the control I have over who is in my Twitter universe, or Twitterverse. If someone is offensive, I simply block them. That way their negativity no longer shows up in my stream, and I don't show up in theirs. Unlike chat rooms, I don't have to leave to get away from negative people. Instead, I tighten the net around my stream. While we were in Florida, I decided I wanted to start a book club. Living on the road as we are does not lend itself to a traditional book club where we meet in each others living rooms once a week or once a month, but I knew that with the millions of people on Twitter I would find at least one other person who wished to read a book and discuss it. Danna Furnace-Grim (@_DANNA_) was the first to respond to my tweet asking if anyone was interested. She helped to research online bookclubs, and we publicized for others to join us. After we had a handful of interested peop le, we put out a few suggested books. Unfortunately, Danna was unable to participate as her boss does not understand the business potential of Twitter. He will soon enough, but for now we are able to continue to connect via Facebook (another story!). The most important criterion for me was that book was available as an eBook and it was free. There are over 28,000 eBooks available through Project Gutenberg, plus many authors have PDF versions of their books on their web pages. An eBook is available for anyone with a computer, so there is no carbon footprint (trees cut down, fossil fuels burned in production and transportation), and with money tight for many of us these days, free is something we can all appreciate and afford. The book we decided upon was Wishcraft by Barbara Sher. Ms. Sher was generous enough to make her book available free as an eBook on her website. It is celebrating its 30th anniversary in print. The first time I read Wishcraft was in 1984. I was working a power job wearing a power suit. After reading and doing the lessons in each chapter it became clear to me I was not living my ideal life. I quit my job and went back to university to study my passion, political science. I was able to chart a path through life that worked for me because of this book. Thank you, Barbara Sher. Oh, and did I mention @BarbaraSher is participating in our Twitter book club, #booktweet? My lessons are now being reviewed by the author herself! Just another joy of Twitter. Six degrees of separation are reduced to one! For those of you who are interested, #booktweet meets Saturdays at 12 EDT. Since Stewart and I are traveling full time we have been able to meet several people in person who we first met on Twitter. I've already told you about Tom Morris (@TomVMorris), Sandi McKenna (@McMedia) and James Johnson (@JamesIslander). Since then we have met Darren and Judy Reeves (@S uperDad_08 and @Judes_08), Mark Lesser (@DrMarkLesser), Mark and Vanessa Hundley (@MarkHundley), and Randell and Julie Hiltbrunner (@NikeStix and @SilverSmyth). Stewart and I had so much fun with these folks, we have now gotten together twice, and are meeting for a third time Sunday afternoon at Julie's art show in Ft Worth. We are staying with our dear friend, Dr. Nancy McClellan while we are in Dallas. Nancy will from now on be known as @Nancy_Dallas. She and I will be having massages and body wraps at Sedona Spa by Zane Aveton (@Zaneology), and this week, Stewart and I are going down to San Antonio for a guitar jam session with Jeff Schechter (@ReallyShecky). And I must not forget my thrice weekly phone calls with Ponet (@Ponet), the Queen of CAPS! Speaking of music, as I have previously written about, Stewart (@StewartRaven) is creating some amazing music on this journey. He has allowed me to publish a couple of his pieces on Twitter using an application named Twiturm that allows musicians to share their mus ic with the Twitterverse in real time. No need to create any fancy videos or negotiate with iTunes. One of the pieces I uploaded for Stewart was “Shades of Gloria in E”. Previously, I had contacted Rabbi Specht (@RabbiShaiSpecht) about Stewart's music as he is a wonderful vocalist and lyricist. From time to time over the past three months Rabbi has “dropped by” to ask me if I had anything to share with him. When I tweeted him the link to Stewart's new song, the sparks flew, and within 24 hours the vocals were sent back to me. Stewart and I worked together to mix the vocals and instrumental tracks, and within another 24 hours, “Shades of Gloria with vocals by Rabbi Specht was up on Twiturm. The first collaboration by The Raven and the Reb. My experience on Twitter has not been all rosy. As in the real world, there are flakes who are disingenuous and inauthentic. Though I am having difficulty getting an accurate count, it is fair to say there are around 10 million Twitter accounts. In a small town of five thousand there are jerks who first appear great. Why would the Twitterverse be any different!? For example, there is the Lothario who is in love with someone new each week. And the opportunists who care more about promoting themselves and their businesses than being authentic. Then, there are the Celebrity Twitters led by Ashton Kutcher (@aplusk) and his wife, Demi Moore (@mrskutcher), Oprah Winfrey (@Oprah) and John Mayer (@johncmayer) who have thousands, even millions of followers, but only tweet to each other, and rarely follow any one back. And others hire people to tweet for them (@britneyspears). For example, John Mayer has as of this moment 1,241,175 followers, yet only deems 47 people worthy of following back. The arrogance of this is astounding to me. The beauty of Twitter is the back and forth exchange of ideas and information. If someone only tweets without ever jumping in and actually interacting with others, they completely miss the point. Go look in the mirror and talk to yourself, John. There was one celebrity who was following me (he shall remain nameless), but would only interact with me in DM's. After a few separate instances, I finally asked him flat out if he was embarrassed to be seen tweeting with a non-celebrity. His reply was to list me among his five top fans of the week. After I stopped laughing, I blocked him. I had never seen his show, and only followed him because he followed me first! I left him to Speidi. For some reason, this little video hit us all as hilarious. Stewart and I had tears rolling down our faces and pain in our sides as we watched it for the 19th time. He remarked that there needed to be an acronym for when something is so funny LOL and ROFL just doesn't cut it. Jay shot back with ENB! So now whenever something is especially funny, we tag it with #ENB. We have learned since this started that this is either something that you get or not – a bit like gefilte fish. Either you love it or you don't. When I was heading to Kenner, LA for my appointment with the Neuroendocrine doctors at Oschner, I felt first hand the power of prayer. The folks whom I had grown surprisingly close to on Twitter acted as a support group for me in preparation and during my ordeal. Each time I would log into my Twitter account, there would be multiple tweets folks had left me encouraging me, making me laugh, and teaching me new ways to cope with the results if they were less than stellar. It seemed that the entire Twitterverse knew when I was meeting with the doctors for the diagnosis. When I shared my good news, it was like a virtual wildfire with support and cheers tweeted and retweeted (RT). Stewart and I felt as though we were sharing our good news with a group of people who sincerely cared. In fact, one man asked for my telephone number so he could ring me. When he called, he told me he was completely taken by surprise by how much he cared. These are real people out there. It's fairly obvious who is for real and who is not. it better is if they included a small case for storage similar to the old cigarette cases women used to carry. Something discreet without Go Girl written all over it for those times when my purse inevitably spills all over the floor. Thank you, Go Girl for making my odyssey that much better. Now, I just have to find an opportunity to write my name in the dirt! If I were to answer the question as to how Twitter has changed my life . . . well, I'd start with YOU! Meeting you has been one of the most powerful blessing I've ever experienced! Without Twitter, our friendship would likely never have happened. Then there is Ponet . . . nuff said! Twitter has given me chances to meet people from all over the world without ever having to leave my home! And when I say "meet," I mean "get to know!" How else would I have been invited to be the mental health expert for one of Dr. Mommy's websites; or interviewed on ReclaimU radio program; or be able to send free copies of the CD to folks who either needed the information or have access to folks who need it; or find people like Susan Heim and Dr. Mia Rose to provide pertinent and appropriate endorsements for the Second Edition of Awaken to Good Mourning; or have a gentleman take on the challenge to single-handedly raise awareness about my Birthday wish withing his circle of influence as well as that of his wife; or meet fellow therapists for coffee to exchange ideas; or have tweetups in Dallas with the best people in the world; or have invitations from other writers/thinkers to collaborate on future projects; or . . . you get my drift? I believe firmly in the Law of the Harvest -- You harvest WHAT you plant, MORE than you plant and LATER than you plant -- in relationships, business endeavors, humanitarian causes, attitudes, beliefs, actions . . . My participation in Twitter and my commitment to myself to be as honest, transparent and real as possible has made this experience one of the best in my life! I look forward to continued participation as it evolves as well! Jay Koch and Jamie Inman (@ibeatcancrtwice) are collaborating on a radio program. Kathy Ireland (@kathyireland) has started a movement to get Elizabeth Taylor (@DameElizabeth) the Presidential Medal of Honor. Twitter is an incubator for ideas and creativity in real time. I'm just happy I finally joined. By the way, the first person I followed was NPR's Daniel Schorr (@DanielSchorr), who will be 93 years old in August. For all of you who think you are too old to jump in, think again. Look me up in the Twitterverse. As my TGDG (Twin Granddaughters, Different Grandmother) Jane often writes, "ttfn". style="font-size:100%;">This post has been brewing in my mind since early March. Had I written it then it would read very differently than it will today, or even yesterday or tomorrow. You see, my Twitterverse is fluid, ever changing. At times fun is abundant, with cleverness the most valued attribute. Other days are about sharing ways to make the world a better place. Days when I open link after link learning things I didn't even know I didn't know. And of course, there are those days when I can rant to the world at large, free to express my ire 140 spaces at a time. style="font-size:100%;">For those of you who are not familiar with Twitter, let me take a a few lines here to try and explain. If you ever entered a chat room the concept will be fairly simple to grasp. If not, let's give it a try, and if it still makes no sense, post a comment and I'll address your specific question the best I am able. Frankly, trying to explain it here is forcing me to articulate what has been an abstract up until now. style="font-size:100%;">According to Wikipedia, Twitter is a "free social networking and micro-blogging service that allows its users to send updates (otherwise known as "tweets") which are text-based posts of up to 140 characters in length." Right off the bat I must correct this definition. Many speak about the 140 characters allowed in each tweet, when in reality it is 140 SPACES that are allowed. So if you are tend towards the verbose (like me), you're going to learn an entirely new form of abbreviation. Thus the proliferation of sentences that read like this: "it wld be SO GR8 2 have mark/color on @replies 2show U have replied back(like email) dont always rembr!" (source Sharon L Corsaro, aka @growinggold). I cannot tell you how many times since becoming a Twitter participant I have found myself writing just that sort of sentence IRL (in real life). think this next explanation may be a bit more helpful for those who find email challenging. How to Explain Twitter to Your Grandma: “ style="font-weight: normal;font-size:100%;">Twitter is a free online service that allows you to send messages to hundreds of your friends all at the same time. Your Twitter friends receive an alert each time you send a new message either on their mobile phones and/or on their computer.” Here is a short YouTube video In Plain English that demonstrates even more style="font-weight: normal;font-size:100%;"> clearly. style="font-weight: normal;font-size:100%;">Now that I have done my best to explain Twitter, I will get back to what it has meant to me since joining 6 March. It is hard to believe it has been such a short time. My life is forever d style="font-weight: normal;font-size:100%;">ifferent because of this – no exaggeration! When I was flat on my back in the Florida Keys, I joined Twitter so I had something to do on my iPhone other than play solitaire. Little did I know that I was opening myself up to an entirel style="font-weight: normal;font-size:100%;">y new world. It shouldn't have surprised me, really. Stewart and I met on Match.com over seven years ago. I met one of my dearest friends back in 1995 while doing research for an article in an AOL chat room. My cousin, Alyson met her husband, Vopni in a chat room. It's all around us. The primary difference with Twitter for me is the control I have over who is in my Twitter universe, or Twitterverse. If someone is offensive, I simply block them. That way their negativity no longer shows up in my stream, and I don't show up in theirs. Unlike chat rooms, I don't have to leave to get away from negative people. Instead, I ti style="font-weight: normal;font-size:100%;">ghten the net around my stream. style="font-weight: normal;font-size:100%;">While we were in Florida, I decided I wanted to start a book club. 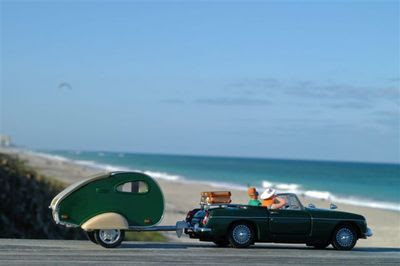 Living on the road does not lend itself to such and idea, but I knew that with the millions of people on Twitter I would find at least one other person who wished to read a book and discuss it. Danna Furnace-Grimes (_DANNA_) was the first to respond to my tweet asking if anyone was interested. She did research on online bookclubs, and we pu style="font-weight: normal;font-size:100%;">blicized for others to join us. After we had a handful of interested people, w style="font-weight: normal;font-size:100%;">e put out a few suggested books. Unfortunately, Danna was unable to participate as her boss does not understand the bu style="font-weight: normal;font-size:100%;">siness potential of Twitter. He will soon enough, but for now we are able to continue to connect via Facebook (another story!) style="font-weight: normal;font-size:100%;">. The most important criterion for me was that book was available as an eBook and it was free. There are over 28,000 eBooks available through Project Gutenberg, plus many authors have PDF versions of their books on their web pa style="font-weight: normal;font-size:100%;">ges. An eBook is available for anyone with a computer, so there is no carbon footprint (trees cut down, fo style="font-weight: normal;font-size:100%;">ssil fuels burned in production and transportation), and with money tig style="font-weight: normal;font-size:100%;">ht for many of us these days, free is something we can all appreciate and afford. 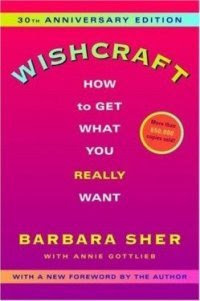 style="font-weight: normal;font-size:100%;">The book we decided upon was Wishcraft by Barbara Sher. Ms. Sher was generous to make her book available style="font-weight: normal;font-size:100%;"> free style="font-weight: normal;font-size:100%;"> to all on her website. It is celebrating its 30 style="font-weight: normal;">th style="font-weight: normal;font-size:100%;"> anniversary in print. The first time I read Wishcraft was in 1984. I was working a power job wearing a power suit. After reading and d style="font-weight: normal;font-size:100%;">oing the lessons in each chapter it became clear to me I was not living my ideal life. I quit my job and went back to university to study my p style="font-weight: normal;font-size:100%;">assion, political science. I was able to chart a path through life that worked for me because of this book. Thank you, Barbara Sher. Oh, and did I mention @BarbaraSher is participating in our Twitter book club, #booktweet? Just another joy of Twitter. Six degrees of separation are reduced to one! For those of you who are interested, #booktweet meets Saturdays at 12 EDT. Another influential author in my life is Paulo Coelho. I have read and re-read The Alchemist so many times I can practically quote passages by heart. When I had reached the point in politics where my rose colored glasses had been shattered along with my heart, I knew it was time for a change. A friend and I took a short trip to New Orleans, and walking through the French Quarter, I was drawn towards a bookstore small bookstore cramped full of wonderful books of every sort. The sort of bookstore of my dreams – a bit chaotic that requires real exploration. A small book with a purple cover caught my eye. As soon as I picked it up and began flipping through the pages I knew this was no ordinary book. I realized my friend was giving me a bit of a strange look, so after paying tucked the book into my pocket to be enjoyed in solitude later. Though a simple story, a parable really, its lesson was what I needed. I once again heeded the message in a book and moved to California to begin again. 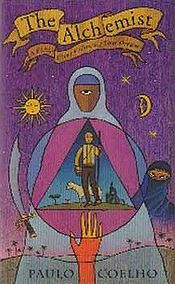 Since then, I have given away countless copies of The Alchemist, and have continued to be a devoted fan of Mr. Coelho. Imagine my excitement when I checkout my new followers on Twitter, and there among them was @PauloCoelho! By the way, there are several eBook available exclusively on his website, and we will likely be reading one of his books soon on #booktweet. together twice, and are meeting for a third time Sunday afternoon at Julie's art show in Ft Worth. We are staying with our dear friend, Dr. Nancy McClellan while we are in Dallas. Nancy will from now on be known as @Nancy_Dallas. She and I will be having massages and body wraps at Sedona Spa by Zane Aveton (@Zaneology), and this week, Stewart and I are going down to San Antonio for a guitar jam session with Jeff Schechter (@ReallyShecky). And I must not forget my thrice weekly phone calls with Ponet (@Ponet), the Queen of CAPS! Speaking of music, as I have previously written about, Stewart (@StewartRaven) is creating some amazing music on this journey. He has allowed me to publish a couple of his pieces on Twitter using an application named Twiturm that allows musicians to share their music with the Twitterverse in real time. No need to create any fancy videos or negotiate with iTunes. One of the pieces I uploaded for Stewart was “Shades of Gloria in E”. Previously, I had contacted Rabbi Specht (@RabbiShaiSpecht) about Stewart's music as he is a wonderful vocalist and lyricist. From time to time over the past three months Rabbi has “dropped by” to ask me if I had anything to share with him. When I tweeted him the link to Stewart's new song, the sparks flew, and within 24 hours the vocals were sent back to me. Stewart and I worked together to mix the vocals and instrumental tracks, and within another 24 hours, “Shades of Gloria with vocals by Rabbi Specht was up on Twiturm. The first collaboration by style="font-style: italic;">The Raven and the Reb. My experience on Twitter has not been all rosy. As in the real world, there are flakes who are disingenuous and inauthentic. Though I am having difficulty getting an accurate count, it is fair to say there are around 10 million Twitter accounts. In a small town of five thousand there are jerks who first appear great. Why would the Twitterverse be any different!? For example, there is the Lothario who is in love with someone different every week. Reading his tweets will leave the average person a bit nauseated as he tweets his love and devotion into the public stream instead of in Direct Messages (DM is a tweet sent directly to a friend that only they will see). No one really wants to read about what he wants to do to her when they eventually meet. If I were a betting woman, my money is on that never happening. A small group of us have become regulars in what we refer to as the #ENB club. One night we all happened to begin tweeting together and Jay Koch (@JayKoch) shared a YouTube video with us entitled “Ed Needs Bob”. I know this is getting long, but bear with me (there ya' go, Frank Feigert!) - are the products and resources I have learned about from others. For example, I was kidding around with Jane Johnson (@JaneEJohnson), Amy Kaster-Heath (@newmanzoo) and a few others about the unfair advantage men have when it comes to relieving themselves while traveling. Up pops a tweet in my stream (no pun intended) from Go Girl (@Go_Girls) about their product designed specifically for women to, well, go on the go. After as few tweets back and forth, I let them know where I would be that I could receive a package, and they sent me a couple of samples to try. I wasn't sure if I would be able to go through with it, but my word is my bond so I went for it. I stepped into the shower and gave it a try. It was simple to use, easily washed for reuse and worked exactly as promised. A few days later we were on our way through Orange, TX when nature called. I stepped into the restroom at a small gas station, and was immediately grossed out. But then I remembered I had my Go Girl with me, and I was good to go. Granted, I still needed to touch the faucet handle to rinse it out, but I had a tissue in my purse, so cooties were avoided. The only thing that would make it better is if they included a small case for storage similar to the old cigarette cases women used to carry. Something discreet without Go Girl written all over it for those times when my purse inevitably spills all over the floor. Thank you, Go Girl for making my odyssey that much better. Now, I just have to find an opportunity to write my name in the dirt! style="font-size:100%;">If I were to answer the question as to how Twitter has changed my life . . . well, I'd start with YOU! Meeting you has been one of the most powerful blessing I've ever experienced! Without Twitter, our friendship would likely never have happened. Then there is Ponet . . . nuff said! Jay Koch and Jamie Inman (@ibeatcancrtwice) are collaborating on a radio program. Kathy Ireland (@kathyireland) has started a movement to get Elizabeth Taylor (@DameElizabeth) the Presidential Medal of Honor. Twitter is an incubator for ideas and creativity in real time. I'm just happy I finally joined. 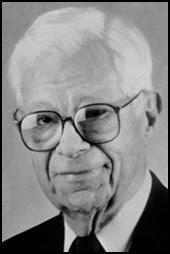 By the way, the first person I followed was NPR's Daniel Schorr (@DanielSchorr), who will be 93 years old in August. For all of you who think you are too old to jump in, think again. Look me up in the Twitterverse. Goodbye for now. I would love you to share your experiences with Twitter. How has it changed your life? Now that all the excitement of disease, death, and urine samples is behind us, it's time to get back to the real purpose of this blog – FUN! We have a lot of catching up to do, so we had better get started. As I mentioned previously, we left the Keys, and headed over to the Florida West Coast. Our first stop after driving through the much lauded and equally overrated Everglades was St. James City on Pine Island. You may ask why we stopped in this particular place when Sanibel Island was our destination, and all I can tell you is I let Stewart make the arrangements. Note to self: Google all reservations made by Stewart before departure. The Island was in a beautiful location right on the Gulf of Mexico, and the Intracoastal Waterway, however the median age was 63.2. The only thing that come to mind is they averaged in the ages of great-grandchildren who were visiting at the time the census was conducted. Even the biker bar had a handrail in the restroom with a raised seat. Besides the mosquito and noseeum infestation, we were able to manage a bit of fun. One of the restaurants we returned to a couple of times was The Waterfront Restaurant and Marina. The food was delicious and plentiful. The fresh clam chowder was particularly good, as was the broiled seafood gumbo. The first time we at there, we sat in the bar as it was packed. Beer was 25 ¢ and served in a mason jar. As y ou can imagine, hot sun mixed with cheap beer made for an interesting group of diners and drinkers. A few locals entertained us with stories, some of which are just not appropriate to share on a PG-13 blog. The many stickers that graced the wall behind the bar were also good for a few laughs. The third and final noteworthy place we visited that was Woody's Waterside. Now, before I go any further, I think it is important that you know Woody is a dog. More specifically, a hound dog. His picture graces the wall behind the bar asleep with his tongue akimbo and paws wrapped around a can of beer. After eating there, I will be adding restaurants named for pets to my list of places to skip. In retrospect it seemed like a good idea as the parking lot was full, and compared to the geriatric biker bar, it was fabulous. If you happened to read my previous post, you know about my experience with the less than competent folks at Quest Labs. Needless to say, I was extremely happy to see Pine Island in the rear view mirror. Our next stop was beautiful St. Petersburg/Madeira Beach. This was 180º from Pine Island. Though we had an inauspicious approach with GPS directing us into a cemetery, we ended up in this beautiful lush place on the bayou where Tampa Bay empties on its journey back from the Gulf of Mexico. Our campsite was surrounded by old growth trees and flowering bougainvillea bushes with the view of the water right across the path. Our three days there stretched into almost two weeks as we were reluctant to give up our corner of paradise. Then, the heat and humidity arrived. Florida in late April/early May is just no fun. There were so many wonderful restaurants and places we went during our stay in Madeira Beach that I couldn't begin to mention them all. Instead, I will focus on a few standouts. This was the first real sense we had of the West Coast versus the East Coast of Florida. There was decidedly a different feel here, more Southern than Eastern. The pace was slower, the locals and tourists younger and friendlier. We ate at a lovely place along the boardwalk in Clearwater called Britts' Laguna Grill. We started out with a dozen raw oysters. They were so large and plump they actually took two bites a piece. Fortunately, we had ordered a couple of caramelized salmon salads. The dressing was made with fresh ginger, and was outstanding. The couple at the next table had smuggled in their dog. It was the cutest little thing tucked inside the man's shirt. I tried to ask them about the dog, but they spoke no English, and I spoke no Portuguese. 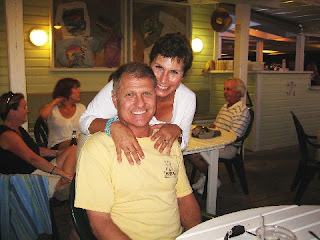 Our Fifth wedding anniversary was during our stay in Madeira Beach, and we had a full day. First thing we did was meet briefly with Tom Morris, whom I had 'met' on Twitter. There is always a chance when meeting someone who is only a virtual friend, that they will not be who they seem in cyberspace. In this case, Tom was the real deal. A true gentleman, kind and generous of spirit. I have a pretty finely tuned BS detector, as does Stewart, and no bells went off. Tom was in St. Pete's giving a speech, and coincidentally, we discovered we were in th e same town. This is known in tweetspeak as a tweetup. After his speech, Tom stayed to be interviewed for an Internet TV show. The producer and a freelance journalist were also Twitter folks, ProducerGirl and McMedia, aka, Sandi McKenna. More about Twitter later. After taking a walk along the beach, Stewart and I decided to look for a place to eat. We stopped in at Crabby Bill's. 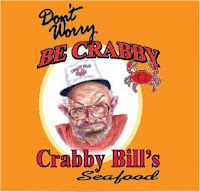 It's been around for over 25 years, and from what we can figure out, Bill is crabby because he wants some good food and good service! There were very few people up on the roof deck overlooking the water, so we thought there would be no problem having a leisurely meal. I'm just going to leave it that if I don't have anything good to say, I'm not going to say anything at all. Later that night, after spending some time with Jeffrey and Emma, Stewart and I headed into St. Petersburg proper to see “I Love You, Man”. It was very funny example of a modern day bromance. One of the bonuses of traveling is seeing concerts and films in strange venues. The audiences are different, the feel of the place is foreign – even if it's the same film showing in your own neighborhood. There is this little gadget I have on my laptop that allows me to enter the city we're currently in, and it pops up all the music in the area. While in St. Petersburg, I found out SEAL was going to be performing the following night at the Mahaffey Theater. We immediately bought tickets assuming we'd be in nosebleed seats. Instead, to our delight, we were able to get box seats right next to the stage. Apparently, they save these until the last minute in case some big shots decide to attend (the venue saves them, not Seal). We have both been to hundreds of concerts, and can say without a doubt, that we have never witnessed as masterful a performance as this. The energy in the room was electric. Seal's connection to the crowd was almost intimate. The man is a masterful entertainer, a humble man who is grateful for his life, and a gifted singer. He had us in the palm of his hand from the first note. I've thought long and hard how I was going to explain this experience in words, and frankly, I'm stumped. It was just too divine even try. One of the most unexpected treats we've had so far o n this journey was discovering my dear old friend, Marta Rose, is VP Communications for Panama City Beach. Marta and I had been close friends years ago when we both lived in Santa Monica, CA, but had lost contact with each other until quite recently. One thing I always loved about Marta was her ability to connect with people and places in a very special way. She was able to show us around, and provide some local colour. We ate at the Boatyard, which was delicious, and Guy Harvey’s Island Grill, which was horrible. It was a shame, really, because it is perfectly situated at the end of Pier Park near the waterfront. James Johnson, another Twitter friend lives in Panama City and was gracious enough to take us to a couple of really cool restaurants. The first one was Captain Anderson's. It was an old local staple with a variety of delicious fish overlooking a dock with boats moored all along the backside. 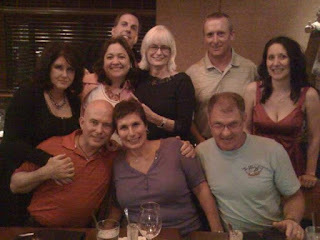 Next, we went to Ernie's Bayfront Grill & Brewhouse. They have a great wraparound back deck that overlooks the dock – a coastal feature present at most establishments in this neck of the woods. Did I mention it was Bike Week in Panama City Beach? Tens of thousands of Harley Davidson's roared through the streets creating a cacophony of engine noise, music and general revelry. One of the things that really spoiled the dinner we had at Guy Harvey's was the occasional biker who just had to rev his engine for effect in the parking lot. We were unable to hear each other, and the smell of exhaust was stifling. I did learn a new acronym, though. RUB, Rich Urban Biker, and there were many of these! The way RUBs were described to me was guys who have their bikes shipped down while they board their private jets, change out of their suits into their leathers, and paint on temporary tattoos for the week. As funny as this may seem, from what I saw, the description hit its mark! One last thing I feel it is important to mention before we leave Florida is we spent three full months along the coastline from Miami down to Key West, and over to the west coast and up through the panhandle. Stewart loves to fish, and as I've previously written about even caught Emma while engaged in night fishing off our back dock. During all this time, with countless hours spent bridge fishing, dock fishing and bank fishing, money spent on bait, tackle and equipment, we did not have a single fish dinner that did not come from the grocery store or a restaurant. Stewart is a lot of wonderful things. A fisherman is no one of them. We headed back to New Orleans, and spent two weeks at the Pontchartrain Landing RV Park. Of all the places we stayed, this was the most enjoyable. It was not the most scenic (we were for the most part in a shipyard), or the best facilities (no restaurant, game room or boat rentals), or the most centrally located (we were down a torn up road right in the midst of Katrina's devastation), but it was STILL the best campground so far. It's all about the people. This place had some of the nicest folks we'd met anywhere. The Property Managers, Nate and Dawn Garrder, were always available, kind and working hard to make this the best place to stay in New Orleans. The people working with them, like Jim and Bunny McElyea stopped by just to say hi and see if there was anything we needed. When Jim heard I had gotten good news from Kenner, he immediately went and found his wife to tell her. Bunny was by to share in my joy. We've been traveling for almost seven months, and this was the first time we even knew the names of staffers, nonetheless visited with them. They are doing a lot of work to make this place beautiful and fully functional for its guests. We will definitely be going back there. 16 May was our last Saturday night in New Orleans, and we didn't want to miss one last chance to enjoy the fantastic music scene this great city has to offer. So, around 9:30 we headed over to Bourbon Street where you are almost guaranteed to find good music for free (or the very most, the cost of a bee r). We walked around for a bit before we heard some of the best guitar playing either of us had ever heard coming out of Tropical Isle. The place was packed near the front, so we worked our way to the back of the bar area right near the stage. Right in front of us were friends of the bands, one of whom was a music producer out of Austin, TX. He started telling us about the history of the All Purpose Blues Band, and Billy Gregory, lead guitar, in particular. It seems Billy used to play with A Beautiful Day, and has been a New Orleans staple for decades. Their rendition of Black Magic Woman would have made Santana proud! When the band was through with their set, they came over and introduced themselves to us. Stewart and Billy quickly got into a discussion of calluses (Stewart had them, Billy didn't). I was chatting with one of the other musicians, when suddenly Stewart grabbed my arm and starts pushing me. I was a bit surprised my gentle husband was manhandling me in this way, but decided to ignore him. When he kept at it, I decided maybe I should investigate what he wanted. At this point, his gingerly pushing became much more direct, with verbal instructions. “Move”, he yelled. “Let's go”. Now, anyone who knows me will tell you, those are fighting words for me! When I asked him what the bleep he was doing, he yelled, “this place is on fire! Now, MOVE!”. Finally, I got it. I moved. Poor Stewart. Fortunately, no one was hurt. Unfortunately, it turned into a 4-Alarm fire with 70 firefighters working over the next couple of hours to extinguish the flames. Miraculously, no other buildings were damaged. The owners are planning on rebuilding, and the employees and band assured us they will find temporary work along Bourbon Street until the Tropical Isle reopens. After we were certain everyone was out safely, and that they would not be playing another set, we wandered down the street to Famous Door, a venue we had visited previously. The same band, Rock Box, was playing. They did a good job covering everything from Led Zeppelin to Lynyrd Skynyrd. We stayed until they finished their set, then moved on to another blues club, where we heard New Orleans Levee Board Blues perform. They were world class musicians, but it was obvious they were playing to the crowd instead of playing what they loved. We were seated right in front, and the dance floor was empty. The place was about half full. I nagged Stewart until he finally gave in and danced with me. Within moments the dance floor filled up, and the band came alive. A group of young women gathered for a bachelorette party saw the crowd enjoying themselves, so they came on inside. The bride was up on stage dancing, her friends all donned wigs in colors ranging from pink to green to purple. By the time the band had finished two songs, there wasn't an empty table or an empty inch on the dance floor. It was time to call it a night. I'm the Boss of Me! heard throughout the world as this news was delivered. But, how did I get here? How did the doctors get it so wrong? In late 2005 I went to the doctor for symptoms that I don't even remember. Whatever initially sent me to her office was quickly shuffled to the back burner as I was told I had Carcinoid Syndrome, and needed to be seen by an oncologist right away. This was two days before Thanksgiving. My daughter, Kate and her husband were coming to Fort Collins, CO for the first time since we had bought a home there, and I didn't want this news to spoil their visit. Anytime we hear CANCER, images of death are not far behind. I made the decision to tell Kate because I had always resented being left in the dark 'for my own good' by parents, grandparents, etc. I feel it is up to each of us, as adults, to make up our own minds how we choose to process information. Kate was 27 years old a the time - certainly old enough to know. grueling test showed inconclusive results. I was exhausted, sore and disheartened after three months of non-stop poking and prodding. Finally, I told the doctors if it was so difficult to find, then obviously it wasn't going to kill me any time soon. In the meantime, I was getting back to the business of living. I put the cancer diagnosis in a back corner of my mind and got back to my life. The Big C was still there, but it was no longer running the show. It stayed there until October 2008, when one of my doctors refused to treat me for something routine until I returned to the oncologist for a follow up. Reluctantly, and still nursing wounds from the first round of tests, I returned for my follow up. The diagnosis was confirmed with no specific point of origin - no change from 2005. The roller coaster ride recommenced. Do I? Don't I? Where is it? How bad? Am I dying any time soon? The primary difference this time was I had symptoms. People are always telling me how healthy I look, but one of the first symptoms of carcinoid is flushing. I also was experiencing other symptoms that when put together didn't look good. In my heart of hearts I did not accept the possibility that I was actually sick. It felt surreal, like the doctors were talking about someone else. This time, they wanted to start me on the drug that I would then have to be on the rest of my life. It is an injectible, and has all sorts of miserable side effects. As much as I wanted to feel better,I felt like they were telling me I needed to use an elephant gun to kill a flea. I WASN'T SICK! After much research on my behalf by Stewart and my dear friend, Nancy McClellan, DC, we discovered the best doctors around are in Kenner, LA at Oschner. These tireless research doctors moved from LSUHS after Katrina so they could continue their groundbreaking work with neuroendicrine tumours. Dr. Eugene Wolverting in particular makes himself available 24/7 to answer questions posed by the more than 4000 participants on the ACOR email list. He even goes so far as to list his cell phone number on his email signature. When was the last time your doctor gave you his cell number?! My compromise with Stewart and the doctors was I would begin treatment IF the doctors at Oschner confirmed the diagnosis and recommended I begin Sandostatine. In my mind, there was no doubt they would tell me this was all one big mistake. That I was just fine. So, I scheduled my appointment, made travel arrangements, and started the retesting process. 12 May was the appointed day. lab used the wrong tubes for blood, put wrong preservative in the collection bottle, the list goes on and on. this time I was determined -every test was going to be done perfectly, leaving no room for doubt - one way or the other I was going to know. We arrived in New Orleans Wednesday 6 May. I was scheduled for octreotide and CT scans Thursday and Friday. The worst part of these scans for me is not the nuclear med injections, but lying still on the tables. I'm grumpy on a good day, but these tests back to back made me downright ballistic. Fortunately, Stewart understood this and kept busy. We ended up going out for some good food and good music. There was nothing we could do before Tuesday when I saw the docs anyway. May as well have some fun in NOLA, and it's crawfish season! But, I'll get back to the travel updates after this. For this blog, I'm concentrating on health. Monday over dinner, I put Stewart on the spot, and made him tell me what he thought the doctors were going to say. He said he thought it was a good chance I had it. I told him he was wrong, that it was all a mistake, and that I knew this down to my bones. Tuesday, we got up and Stewart left a large perimeter around me. Experience has taught him I'm never happy about going to a doctor. This time was different. I had put my future into the hands of these doctors. Whatever they said would dictate the future course of my life. I was not leaving their offices without a definitive diagnosis. No more wiggle room. We arrived, and the first thing I learned was that all my test results had not arrived. furiously, I began calling the labs while the office assistant made calls to various agencies to find out what had happened. there was no more room for errors. I simply could not leave there without knowing. My heart sank to my feet. 15 minutes until I saw the doctors. With much arm twisting and the universe on my side, we were able to get verbal results with two minutes to go. A collective sigh of relief went through the waiting room. When I was taken to the back, after being weighed (with my back to the scale) and height measured, I was taken into a room, and the nurse took my blood pressure. At this point, you would have expected my heart to be racing, and my pressure to be through the roof. Instead, I was calm and collected knowing I would get good news. If anything, my pressure should have been up in anticipation of good news. It was 99 over 63, with a resting pulse of 73. Not exactly stroke numbers! I was in the zone. When the doctor asked me a slew of questions about my symptoms and other physical challenges I have, I was certain he was looking for some explanation for my diagnosis. I stopped him, and said to just give me a yes or no. No more grey areas. He said "No, you will live to be an old lady". I jumped up, pumped my fist in the air and said, "I told you, WOOT!" Stewart was grinning ear to ear, and yelled, "Bitchin'!". The doctor started explaining the reasons for the false diagnosis, but as far as I was concerned he may as well have been speaking in tongues. All that mattered was I was going to live, and of course, that I'd been right. easier of the two questions, how they got it wrong. As I've written about before, carcinoid is a rare and often baffling disease. frequently, it is not found until an autopsy is done. It is slow growing, and relies upon markers to diagnose. The markers are 5HIAA and Chromogranin A. 5HIAA measures the seretonin level, which is elevated in carcinoid patients. The CGA is secreted in carcinoid tumours. My results had been consistently high, but previously, the tests had not been conducted in as rigorous a manner, nor through the lab recommended by Oschner. Also, the dietary and medication restrictions required prior to testing for a three day period had been challenging for me because I need to take the drugs for other reasons. My oncologist, while a wonderful doctor, is not an expert in carcinoid, so didn't have me restrict all foods and meds as required. The scans were inconclusive, but did not rule out anything, so couldn't be taken as definitive. Now, on to the more complex question. How I feel about this. Since I never truly accepted that I was dying this was not nearly as dramatic for me as it would have been if, say, I'd been rewriting my will and planning my funeral. On the other hand, I have given a corner of my mind over to this disease for three and a half years. I know that when I started gaining weight there was a part of me that didn't care because I figured I'd need the weight when I started dwindling away, and what's the difference what I eat if I'm dying anyway? May as well die fat as skinny! I have had numerous medical dramas in my life. Only 2% survive the spinal meningitis I had in 1996. The Hepatitis C I got from a blood transfusion in 1981 left me with permanent damage to my liver. The list goes on and on. Each time I have come away a little more damaged physically, but stronger in spirit. This time is no exception. the gift of life has been tied with a bow and shiny paper, and handed back to me. As I relish this present I cannot look upon it with anything but hope. Hope for the future, and the knowledge that I can use this experience to help others on their journeys through sickness and wellness. I am truly grateful for this. I wrote this poem on 1 November 1990, a year and a day after my mom, Dolores Bass Gordon died. With Mother's Day upon us, I wanted to share it with you. I'm not much of a poet, but anyone who has lost their mom will appreciate the sentiment. This Halloween will be 20 years since I buried her, and not a day goes by that I don't miss her. Three hundred sixty five firsts. Now comes the time of healing. Except in the pain in my heart. The sweetness to my days? Will the fall colors shine more brightly? Will the winter fire warm me? Can I live with this veil on my senses? The earth is nourished by our passing. Yet, I hunger for your presence. When will I be satiated? When last I updated this little monologue about our odyssey through the US, I put out a request for places to go and things to do next. Stewart's uncle, Rex Amack, came through with flying colors. In fact, he so enthusiastically stood up to the challenge that I am dedicating this post to him. So, cheers, Uncle Rex! As I wrote about previously, we were debating the West Coast of Florida or Hilton Head. We intend to follow, verbatim, the trip suggested by Uncle Rex (UR). We left the Keys and headed across the Tamiami trail through the Everglades to Naples, Sanibel and Pine Island. Next, we stopped in St. Petersburg. We'll be in St. Petes for awhile since it is a great central location for many interesting and beautiful places. Now, that's what I call participation! We will pick back up the rest of UR's itinerary after NOLA. Speaking of NOLA. The type of cancer I have is called carcinoid. I have Carcinoid Syndrome, which means that it is throughout my body and causes strange symptoms like flushing and wheezing. I plan on living a very, very long time with this disease, but it does need to be tended. The leading Neuroendicrine tumour specialists in the world are in Kenner, LA, a suburb of New Orleans, at the Oschner Clinic. The doctors there have been kind enough to agree to see me. I have been having a lot of bloodwork done along the way, and let me tell you, there are all sorts of obstacles the medical community puts in the way of us wanderers, but that's another story. My scan dates are 7-8 May, and my consultation is 12 May. I will let y'all know how it goes. Obviously, what they tell me will have some influence on our trip. Not much, but some. Please take the time to learn about this often misdiagnosed cancer. It is often misdagnosed. In fact, the symbol for carcinoid is the zebra. “Just because you hear hoof beats doesn't mean it's a horse. It may be a zebra”. Stewart and I are frequently asked about the logistics of an adventure such as ours. How we get our mail? How do we decide where to go? Don't we miss home? These are just a few of the many questions we are asked all the time. I'm going to devote a few inches of column space to sharing some of the creative ways we are traveling unencumbered. Our mail is sent to us by our wonderful property manager, Alex Lay. He fields the calls for the water heater, the trees needing trimming, he deals with all the day to day issues that keep our California home running and us worry free. Our mail is sent to his post office box, and he bundles it and posts it to us wherever we are. For those of you who are interested, the US Post Office does provide a service for a small fee that does basically the same thing. The big difference the post office doesn't look through your mail for junk and items that are better handled by them. Thank you, Alex! ~The Weather Channel - we use this to see whether the weather suits us somewhere before heading out. ~Maps - The GPS is remarkably accurate. We have had a few funny instances for example, when it directed us into a cemetery. Considering we were in Florida, aka Heaven's Waiting Room, we found that appropriate. ~Shazam - for those times when we know the song, but can't think of the artist to save our lives. this app actually "listens" to the song and give us the artist and version within seconds. It feels like magic. ~ Notepad - for keeping track of what we do, where we go, what we eat, hear, etc. Much more environmentally friendly than paper, and easier to keep up with since my phone is attached by umbilicus. ~Social Media - I'm just going to bundle Facebook, LinkedIn, Palringo, Skype and Twitter all together here. Tweetie was the one and only app I ever paid for, and at $2.99 it was a steal! ~Have2P - Yes, I know it's a funny name, but there is nothing funny when we're in the middle of nowhere and nature comes calling. You gals know what I mean... I see you smiling. ~Public Radio - I can look up any NPR station that broadcasts and listen to my favorite programs. Since we tend to sleep most of the day and stay up all night, I have found a great station in Hawaii that allows me to listen to Morning edition late into the afternoon. 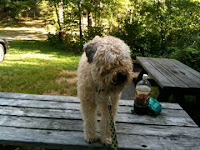 ~Offleash - We're traveling with two very active Wheaten terriers. They are great, but sometimes their energy needs to be released in a major way. this application uses GPS to find us all the dog parks in the area. We have used it countless times - even submitted one that was missing from their list - pay it forward. ~ Stanza - Through Project Gutenberg and others, there are literally thousands of books available free to be read by anyone with access to a computer. I downloaded, for example, Curious Case of Benjamin Buttons a few days before we went to see the movie so that I would have read it in its original before seeing the Hollywood interpretation. Though Brad Pitt was great, F.Scott Fitzgerald was better. ~ AroundMe - I needed a pharmacy today. I tapped the category, and in seconds a list of pharmacies complete with directions appeared. Granted, I still got lost since I failed to look, but it was there for me. ~ TakeMetoMyCar - We were in Key West, and by the time the day was through we had no idea where we had parked. Fortunately, I'd pressed the screen before we walked away that morning, and it took us right to the car. ~TV.com I know it's a little screen on the iPhone, but when I was stuck in Peregrine without any wifi or TV signal, I watched CSI and How I Met Your Mother in a YouTube-like format. Very cool. ~i.TV - Speaking of TV, wherever we go this app uses GPS to determine our location, and then gives us the local TV and movie listings. ~Music Recording - 4Trak and GigBaby allow Stewart to record four tracks of music so he can play lead, rhythm, bass and slide resulting in beautiful music. It's his own mobile recording studio. ~YouTube - We use this primarily for comedy. Every once in a while A Susan Boyle singing I Dreamed a Dream or Adam Lambert singing Mad world comes along, and instead of being out of the loop, we get to indulge over and over until the tears stop flowing. Speaking of tears flowing, there was one particular Youtube video, Ed Needs Bob that led us to collaborate with Jay Koch in developing a new acronym to describe the sort of laughter that doubles you over and makes tears stream down your face. ENB is when ROFLMAO just doesn't do justice to our fun. There are many, many more, but you get the general idea. On our (my!) laptop we have a TV tuner card with fits right into a slot in the side. If we happen to have access to cable, it just hooks right up to the card. If we don't, I know the name of a good electrician (Stewart) who is quite skilled at working the antenna to get us a picture. When all that fails, Pat Bell, also known as @MickeyMouse1105, tweets me what's happening on American Idol. The final question regarding missing home is a bit more complex. We have three daughters and two grandsons who we miss desperately. But the reality at their stages of life (ages 29, 24 and 20) they will have about 30 minutes a week for their parents. Should we spend our time stationary in hopes they throw us a bone? We feel that home is wherever we are together. Peregrine is home, but we are each other's "home". We have gotten Skype, and have asked the girls to do the same so we can see them as well as hear their voices. If anyone wishes to reach us, our user name is ravenhouse18. Just give us a warning shout so I can put on my Chapstick. We did a lot of going back to the same places we had already enjoyed in our final weeks in the Keys. Stewart and I cooked and brought in food while I was recovering, so there isn't a lot to report other than the remarkable care he gave me, as always. There is one place in particular that is a standout, though. Hog Heaven. The food was excellent, and the live music was a real treat. They played reggae with various guest artists joining them for different numbers. the best part was they serve a full menu until 3:00 AM. As many of you know, we just get started around midnight! Too much fun landed me in back pain hell. Fortunately, I had my iPhone to keep me company. I have gotten really fast on that thing. In fact, I actually prefer it to my laptop. It is fun to watch the auto-correct transform my thoughts into something completely different. Steve Jobs has a really good sense of humour. I am happy to report my back is healing nicely, and I'm back in the saddle, so to speak. I would like to share the final day I had before being down for the count. Early Thursday morning - ok, it was around 10:00 am - we headed for Miami where we met Vopni (@talkative_mime) for brunch at a little place called Wagon Wheel West. great breakfast. In my opinion, breakfast is the meal most often ruined. The owner, Wally, was so excited when we told him we'd mention him in our blog, he brought T-shirts for the table! Straight from WWW, we headed over to Whisk Gourmet. Unfortunately, we weren't hungry, but we still managed to share a piece of the most heavenly chocolate cake I think I've had since my mom's. We actually fought over the last bite! It was so nice getting to see Ryan and Alyson, my cousins. I hadn't seen Ryan since he was about 14. Now, he's all grown up and working for Amex. Handsome, too! That night, Stewart and I went to see Les Miserables at the Actor's Playhouse in Coral Gables. The playhouse is owned by Larry and Barbara Stein. Coincidentally, when I broke a tooth in March, Larry fixed it for me. He's both a great patron of the arts and dentist. What a combination. The company included quite a few from the original Broadway production. 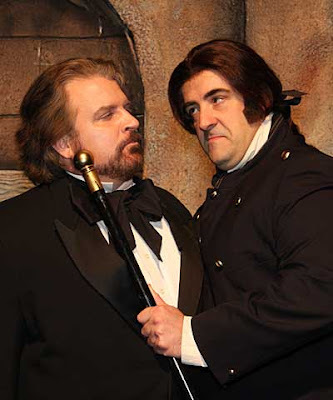 When Valjean, played by David Michael Felty sang "Bring Him Home" there wasn't a dry eye in the house. We were, of course, there in our flipflops, but who cares. Magic! Incidentally, another one of my cousins, Staci Schwartz, an accomplished actor, was a part of the Actor's Playhouse until quite recently when she relocated to our nations capital. Down in the Keys for the most part our choices for shopping are an outlet store or two, Wal-Mart (where I refuse to shop until they pay their workers a living wage), and Walgreen's. Spending the day in Miami gave us the opportunity to stock up on much needed supplies. We (Stewart!) had broken a lamp at the home we had rented, and buying a new one seemed a better solution than reporting it. I am at a stand still.There is so much more to write, but if I wait until I have it all written, I'll never get this posted! So, I'm going to post this, and then get back to the more interesting aspects of our journey. Please forgive me for not being very amusing this go. Too much to say, too little wifi! Peregrine is Great, a House is Better! After three straight weeks in Peregrine, I definitely was ready for a little square footage. Heck, I was ready for a square foot. 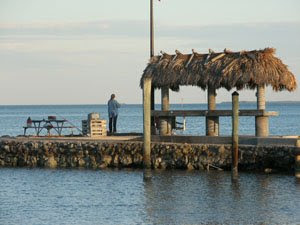 Granted, we were staying in this beautiful place, Fiesta Key, but the restrooms were abo ut a city block away. When we first got there, being on the water seemed more important than proximity to the toilet. Lesson learned: choose facilities over view. So, we met this really nice couple, A.W. and Beth, who turned us on to this really cool little house on Long Key. If this journey was going to be successful, we were either going to have to add plumbing to our trailer, or rent. Obviously, renting won. Check out our digs. Here's a picture of the balcony overlooking the canal. There is a phenomenon here in the Keys known as "bridge fishing". The main bridges actually include a pedestrian bridge parallel specifically for this purpose. We decided to give it a try. Most of the time was spent baiting the hook, as those fish are hungry and smart. Turn to your left, and your casting into the Gulf of Mexico. Turn around, and you cast into the Atlantic ocean. Very cool. While Stewart was busy putting the squid on my hook, a local guy steps up next to us, drops his line into the water, counted to five, then pulled in his line with FIVE FISH ATTACHED! "OMG", I shouted. "How did you do that?" He proceeded to throw me a couple of fish, and then explained they were for bait. Darn, I thought he had just given me dinner. Anyway, they are called ballyhoo, and the line is called Sabiki, which in Japanese means "little bait fish rig" I thought he said "ceviche", so was completely confused. I was trying to figure out if it was the vinegar that made five fish bite at once. We can't wait to try it ourselves. Stewart bought rigs in three sizes. Speaking of Stewart and fishing.... It is time to tell you of the latest Emma saga. Stewart decided that a little night fishing off our dock sounded like a good idea. Even better, he took Emma and Jeffrey with him. It was 11:00 PM. When I looked out the top of the deck and couldn't see anyone, I yelled down to make sure he hadn't fallen in. This small, tight voice replies, "I need your help". As quickly as these old bones would allow, I scampered down the stairs to find Stewart crouching over Emma with his hand down her throat. Blood was everywhere, later to be discovered mainly from Stewart's hand, though Emma was wearing it in her beard. When I asked what happened, it turned out instead of catching fish, Stewart caught Emma. Fortunately, his instincts are still intact in spite of his advanced years, and he tied off the weighted fishing line before she could digest the hook completely. I cal led the local 24 hour vet, and was told to sedate her with benadryl 'till she could be seen in the morning. After a very long night, the vet was able to remove the hook from her esophagus with minimal damage - and even gave Stewart back his hook. Now, Emma waits with baited breath for her next adventure. Sorry, I couldn't resist. A lot of our time during this segment of our journey has been spent relaxing and enjoying a fully-stocked kitchen. Alyson and Vopni Hauksson, my cousin/niece and her husband came down for the weekend, and Stewart made his always delicious breakfast. It was like being back at one of those casino smorgasbords. We all ate until we were comatose. Also, Vopni taught me all sorts of little tricks on my iPhone, as well as how to "borrow" movies on line. Very valuable information when the road is your home. After attending the Marathon Seafood Festival, we went to Lorelei for drinks and sunset. Someone had taken a 1964 (?) pink Cadillac, and set the shell of the car over their boat. Here is Vopni sitting next to it. Stewart tried to get him to climb in, but this is as close as he would get. As we were sitting there listening to music, the space shuttle flew overhead, and everyone there joined in one of those spontaneous moments of joy. Very cool. Since so much of my time is spent in contemplation, I decided to share my streams of consciousness in another format. I am now on Twitter, and loving every minute of it. If you can't find it on Twitter it doesn't exist. It is a fascinating social network. If you haven't looked at it, give it a try, or as we say in tweetspeak, give it a twy! I've added Twitter updates to the right side of the blog, plus a link to join. Stewart loves listening to me read out some of the more ludicrous postings. Truth really is stranger than fiction. reference instead of familial. They have this delicious drink called a key lime freeze that is like milk shake. Anything that good should be illegal. Also, we had the hogfish, and it was exceptional. What an unfortunate name for such a yummy fish. We will definitely be going back there. March 8 was International Women's Day. In honor of the day the film, A Powerful Noise, was shown in 450 theatres nationwide. Afterwards, a panel discussion was held with Madeleine Albright, Nicholas Kristof, et al, addressing the issues facing women globally, and some of the things we can do to help. CARE sponsored the event. Fran Sevcik made dinner for us all, and she, Alyson and I went to the viewing, while Stewart and Ron hung out talking fishing. 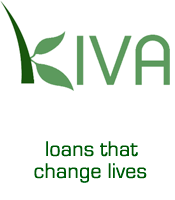 Personally, I like the idea of micro loans, which help people help themselves, so Stewart and I strongly support Kiva. I strongly encourage you to give them a look. As little as $25 can change an entire family's lives. Plus, it is fun. We're making plans for the next installment of our odyssey. It does look, however, like my health is once again casting a grey cloud on our adventure. 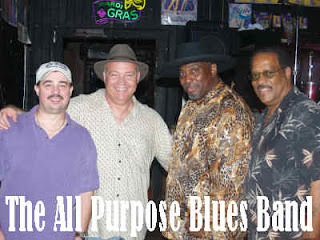 It looks like we are going to be headed back to New Orleans mid-April for a consult at LSU. I will keep you posted how that goes. Until then, hope you all are well, and are enjoying Spring.